The Y-106S10 let you make multiple video copies or distribute the output of one VCR with absolutely no signal loss or degradation. Loop through facility allows you to connect further 10 way amplifiers. 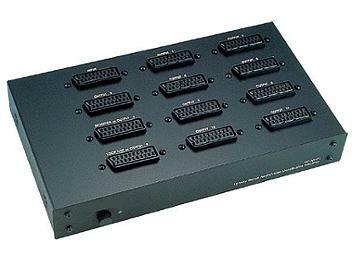 Easy to connect- just use any Scart to Scart cables. Ideal for duplication of video tapes or shop and showroom displays.